THE NEXT EVOLUTION OF THE MATCH 3 GAME IS HERE! Mind Candy, the UK based entertainment company behind the hugely successful Moshi Monsters franchise which has spawned several games, a theatrical feature film, a top 5 music album, the number one selling kids' magazine in the UK, toys and more, have launched their first game targeted to the moms and dads of their millions of young fans with the new Moshling Rescue . This free-to-play Match 3 title is the latest installment of the franchise available now on iOS and Facebook, and marks Mind Candy's first major foray into the North American market. Moshling Rescue is the next evolution of Match-3 gameplay, combining a variety of unique gameplay modes with a character-driven narrative and a unique collection mechanic, to provide hours of enjoyment for an older audience. With fun yet challenging gameplay, players must match the gummies to rescue the Moshlings as they explore hundreds of adventure-packed levels. When the going gets tough, players can purchase boosts and extra lives to enhance their entertainment. · Home mode ­ For the first time in a game of this genre, players must collect specific gummies to move the Moshling across a game-style track to reach home. · Boss mode - Big Bad Bill tries his best to prevent players from reaching their goal. 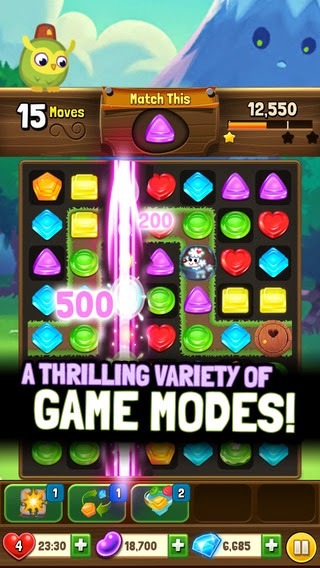 · Dig mode ­ explode and select gummies to dig further down the screen to complete the level. · Drop mode - Rescue the Moshlings by dropping them down through a big stack of gummies. · Clear mode - Everything is covered in gloop! Match over it to clean it all away. · Treasure mode ­ Unlock treasure and win jellybeans by merging sacks, crates & chests together. Additionally, players can connect their mobile or tablet edition of Moshling Rescue with their Facebook account to pick up and play where they left off for even more fun. Players will also receive an extra life across both platforms by connected to their Facebook account. "Moshling Rescue is a fantastic game that makes great use of the Facebook platform, not only on Facebook canvas, but also on iOS" said Bob Slinn, Head of Gaming at Facebook EMEA. "It's a great game, with huge potential and we're very happy to see our partner Mind Candy bringing quality content on Facebook." What sets Moshling Rescue apart from other games of this genre is the deep character driven narratives, which are synonymous with all Mind Candy games. There is a unique collection mechanic where players earn a Moshling after completing certain levels, with rewards earned for completing a full set of characters that can then be viewed at any time in The Tree House. "Mind Candy has expanded from just kids entertainment to becoming a broader family entertainment company." said CEO and founder of Mind Candy, Michael Acton Smith. "This is our first game aimed at an older audience and we're incredibly excited about launching it." 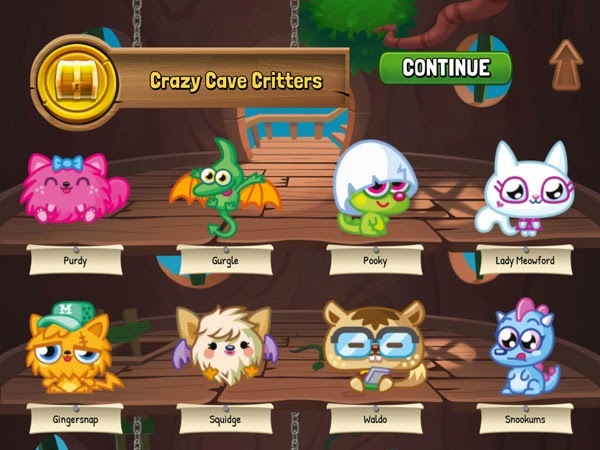 Moshling Rescue was developed in house by Mind Candy and can be downloaded for free, however some game items can also be purchased for real money. In the coming months, Mind Candy will offer content updates and enhancements to the already feature-rich game as well as release the game on Android devices.